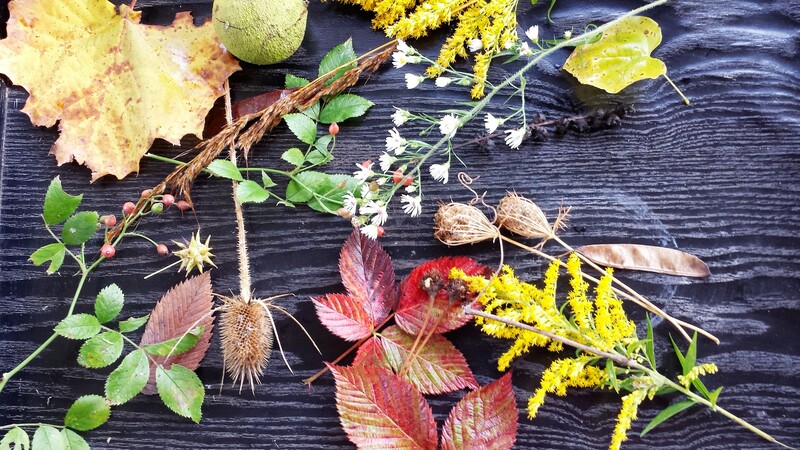 The calendar shows autumn officially arrived September 23. Well excuse me, but I’m not ready to give up summer just yet. We’ve had all three summer issues in 2015 but the insects were especially horrific. First came legions of chiggers. As their wounds slowly healed, I began donating several pints of blood a week to vicious clouds of ravenous mosquitoes. Then came September with a mini drought that is forcing me to irrigate, a loathsome task in my book. At least mosquitoes are down for the count allowing almost pest-free patio sitting. While a sweatshirt or jacket is required for morning coffee, I realize this summer patio pleasure was sorely missed. The other evening, nature almost made up for all the ills. As I gazed at the top of the sycamore warmly suffused with the amber sunset, four or five Monarch butterflies fluttered and swooped among the high maple branches. They alit and stayed, apparently roosting for the night. As this amazing fact sank in, I glanced to the tree tops again and spotted the moon, a pearl against the clear blue sky. 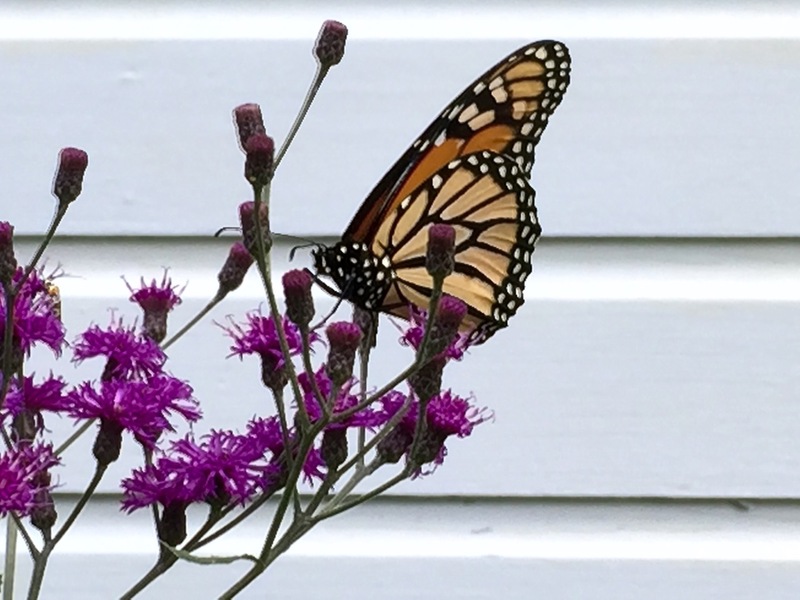 For years, I battled with insects – wasps, Japanese beetles, bean beetles, stink bugs, aphids and more. Like the woman in the garden store line this weekend, I used to buy the most powerful insecticide to wipe out pests even if my cause was hopeless. After learning the Integrated Pest Management (IPM) approach in a Master Gardening class, I’ve banished such revenge spraying and adopted new ways that support a balanced ecosystem. You see, my trigger-happy approach was killing off beneficial bugs such as pollinating bees and aphid-eating ladybugs. 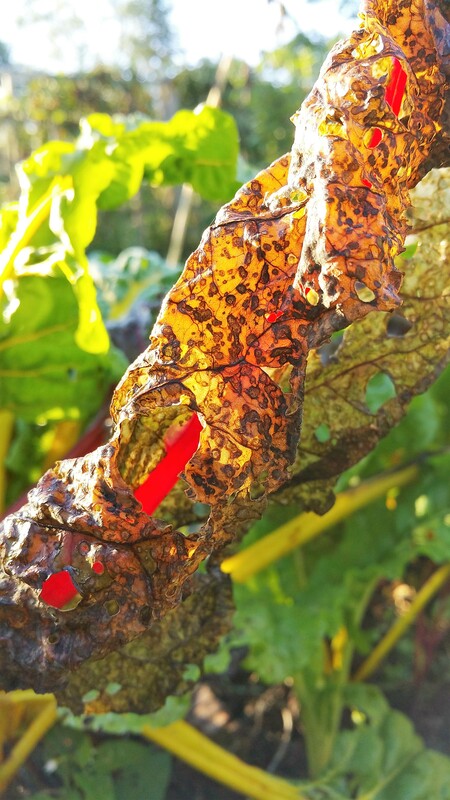 So, now I resolve to the IPM ways, and my garden thanks me. 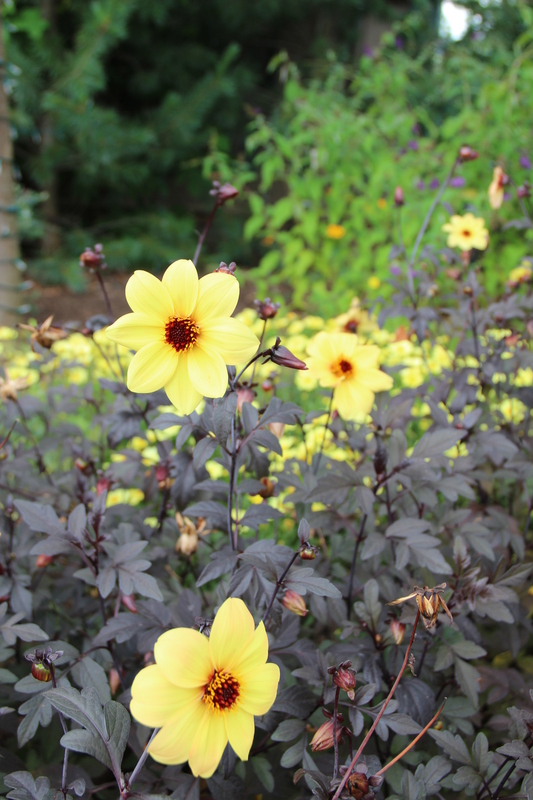 In the simplest terms, IPM is a pro-active approach of first preventing disease by managing a healthy garden then staying in tune with the garden through the growing season and managing pest problems with the most effective control that has the least impact on the environment. 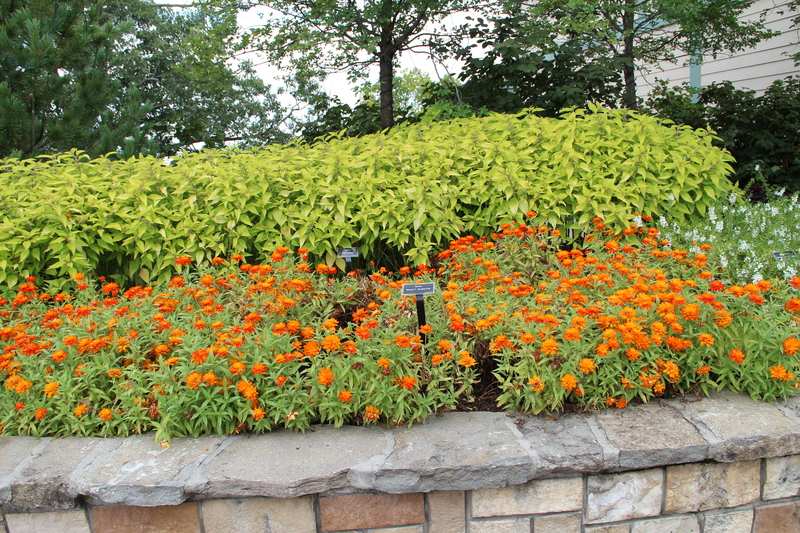 Prevention: Begin by buying healthy plants and planting them in the right location to minimize stress. 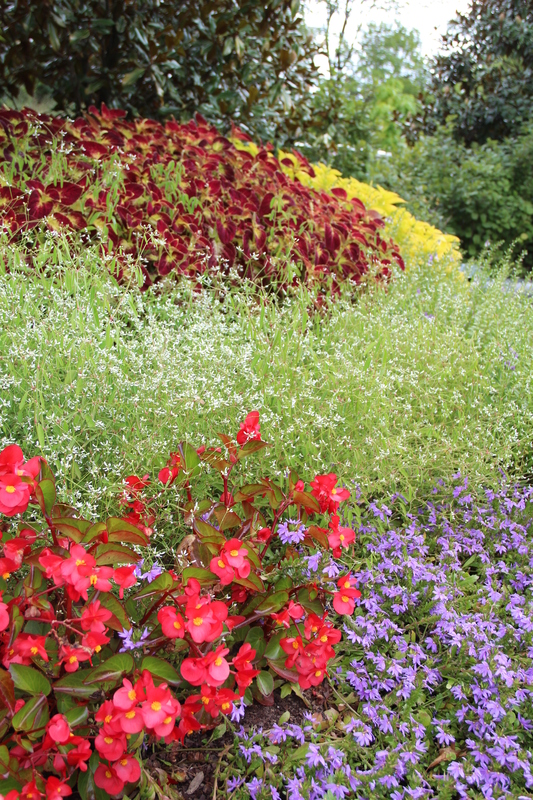 Choose pest-resistant varieties, rotate crops and remove dead or diseased material from the garden. Tolerance: Know what level of pest damage you can tolerate and consider modifying those standards in exchange for a more balanced ecosystem. Monitor: Be on the lookout for insect damage. 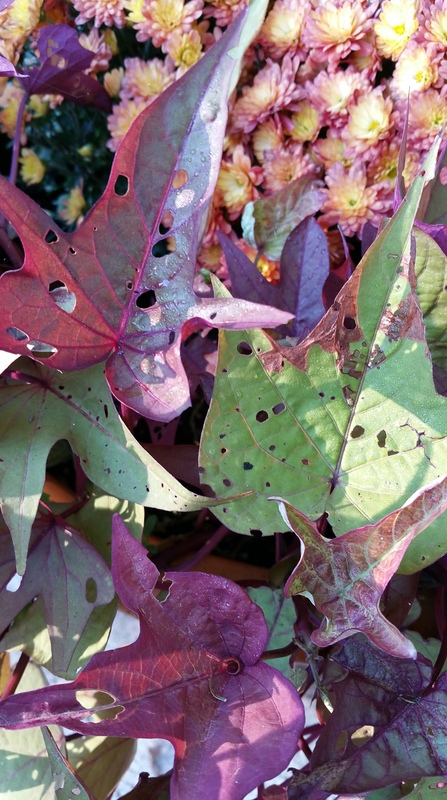 Learn to identify various garden pests and options for treating them. Early on, they often can be removed by hand or shot with a stream of water. Control: When the damage is potentially too great, select a control that will best get the job done without impacting innocent bystanders. IPM teaches three types of control: 1) cultural (e.g., hand removal, row covers and barriers) , 2) biological (e.g., attracting pests natural enemies to the garden) and 3) selective pesticides to reduce but not eliminate pest populations Evaluate: Take a look at what works and make notes for the next growing season. This season in my garden, I had minimal success with delaying cucumber planting to avoid cucumber beetles; I’m taking great care to clean up the garden and remove weeds before seeding to help next season; and my heavier layer of mulching seems to help with this year’s tomato crop. Perhaps next year, I need to try fellow blogger Deb Knapke’s overhead netting to keep the birds from damaging my tomatoes and Michael Leach’s row covers to protect my cucumber plants and leafy greens. To learn more about IPM, see the National Pesticide Information Center. 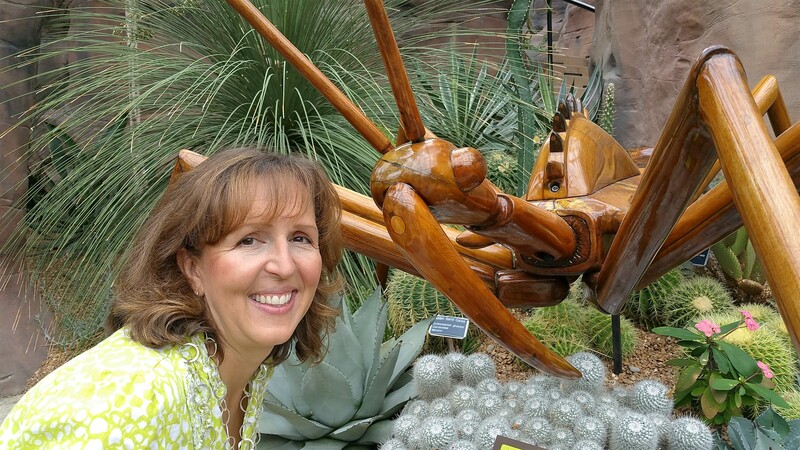 The Franklin Park Conservatory in Columbus, Ohio is hosting David Rogers’ Big Bugs exhibition with 10 installations including an 18-foot tall praying mantis, a spider’s web that’s four yards wide, and a butterfly with a wingspan broader than average human height. The exhibit runs through Sept. 27. 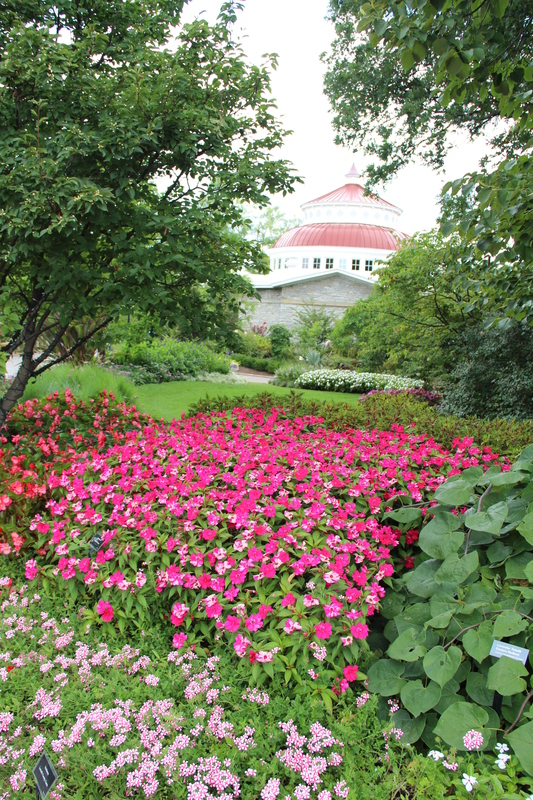 Each year, 15,000 annuals are planted at the Cincinnati Zoo & Botanical Gardens. 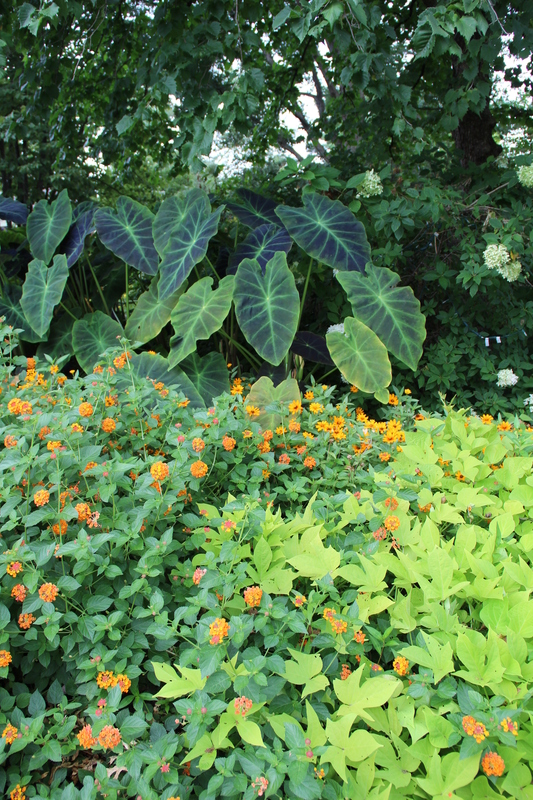 Here, Canna ‘Bengal Tiger’ and Coleus ‘Keystone Kopper’ dress up the Reptile House. 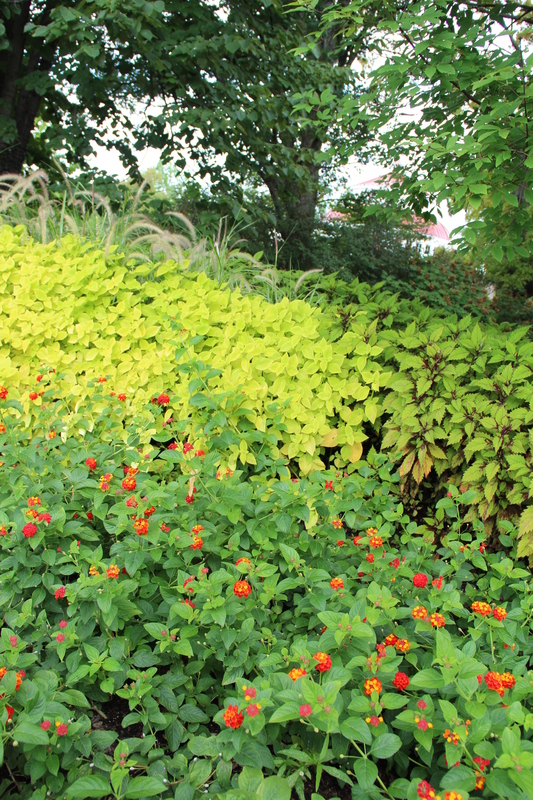 In the gardening world, annual plants are often the step-child to the perennial darlings. 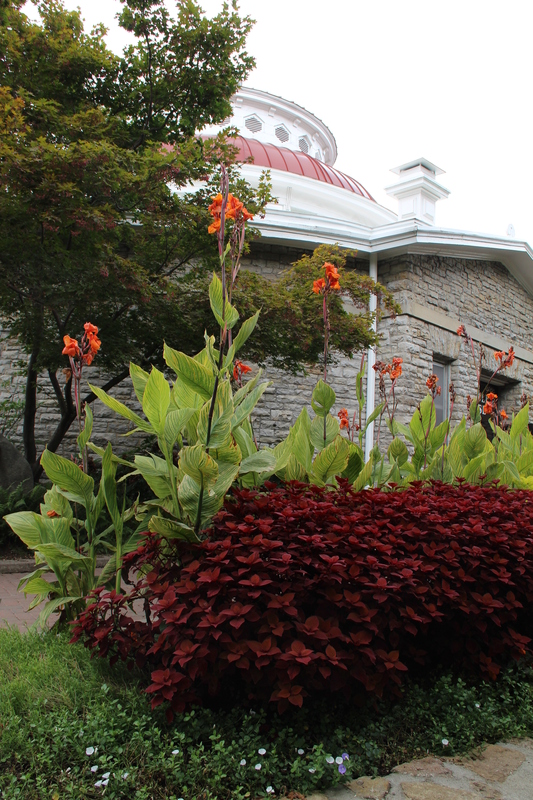 But Scott Beuerlein, horticulturalist at the Cincinnati Zoo & Botanical Gardens, opened my eyes to the virtues of annuals at the recent Plant Trials Day hosted at the beautifully landscaped zoo. He says the colorful flowers can’t be beat for their “50 MPH wow”. 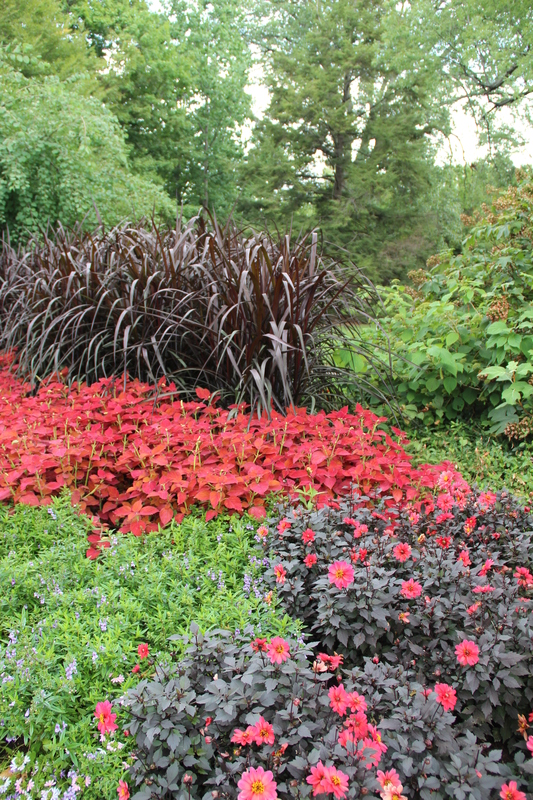 They may only last for a season, but their color is nonstop for several months. 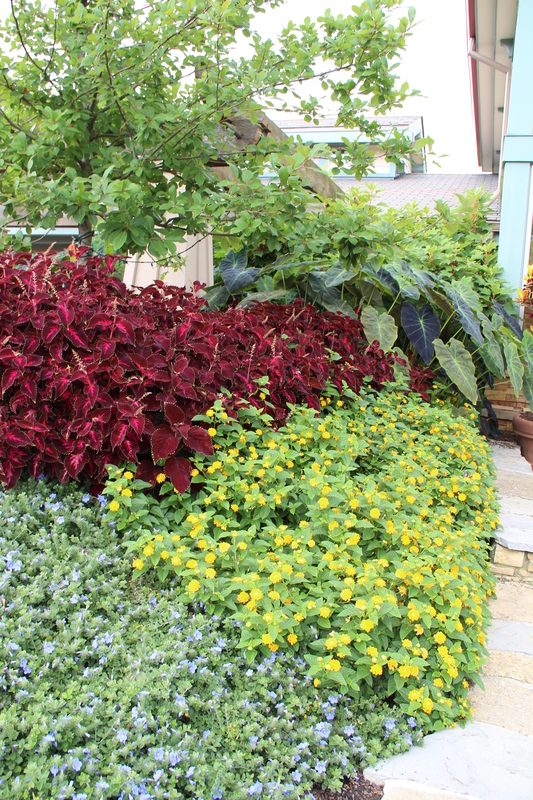 Plus, they pack a lot of punch in container gardens, add traffic-stopping curb appeal to the landscape, build community pride in public spaces, bring joy to senior centers and hospitals, offer nectar and pollen to several pollinators, and even minimize weeds when densely planted. Here are ten favorites at the zoo. 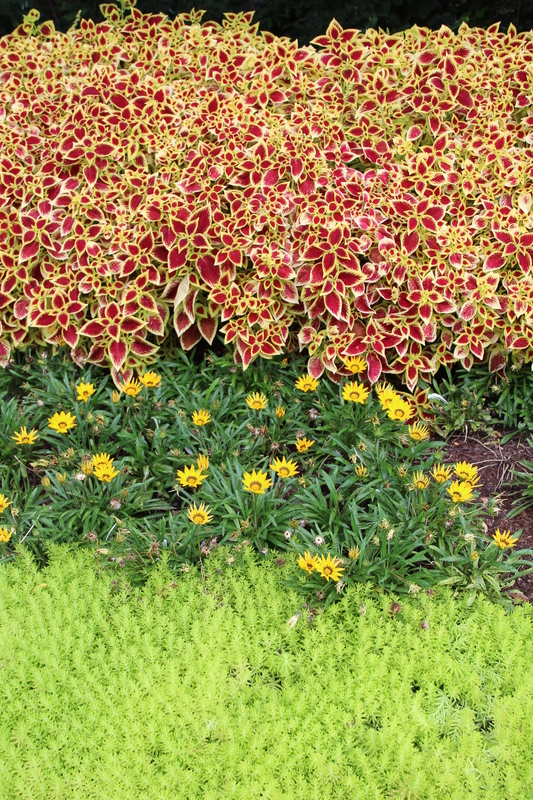 Coleus ‘Premium Sun Crimson Gold’ with Sedum ‘Lemon Coral’ and gazania. 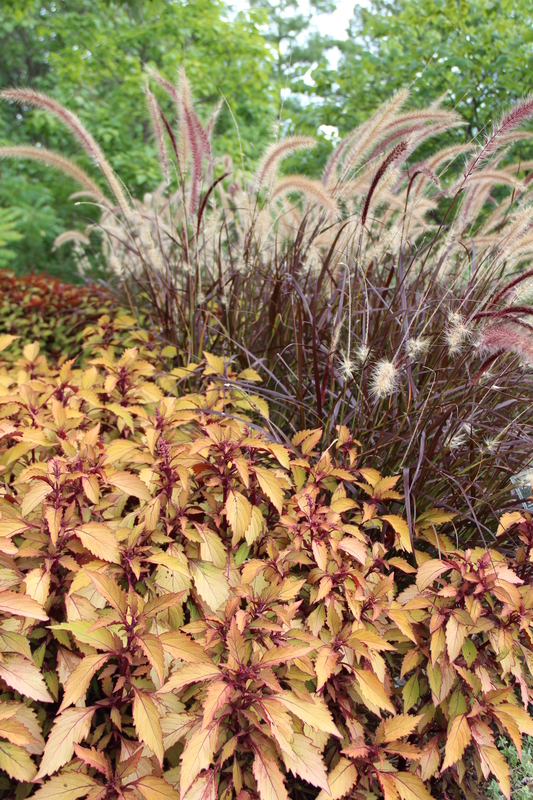 Pennisetum ‘Vertigo’ and Coleus ‘Alabama’ with dahlias.